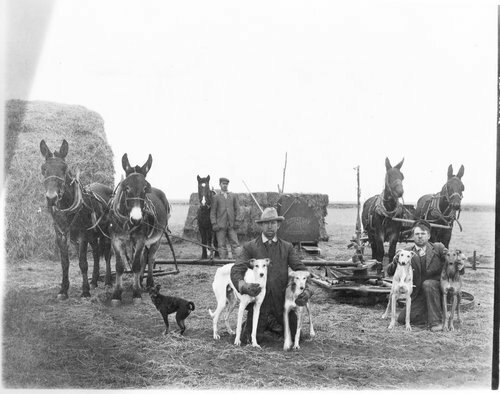 The photograph shows two men posing with dogs on the Linder farm in Finney County, Kansas. It also shows a hay press, some horses, and another man standing in the background. P.A. Linder is the man on the right side of the photograph.